Many of you who blog on WordPress will be familiar with Nicholas Rossis’ blog. It’s a deep mine of information on all aspects of writing and publishing. But what about Nicholas’s novels? In this comprehensive interview we find out Nicholas’s writing process, inspiration, and the state of affairs in Greece concerning the publishing industry. It’s a fascinating read and my thanks to Nicholas for taking up the challenge. . . . Being Greek you come from a culture of storytelling. Of all the mythologies in the world, why do you think Greek Mythology still has so much presence in modern culture? You’ve drawn influence from Greek Mythology in your Pearseus epic fantasy series. How did you come to write it? Can you remember the first stirrings of your ideas? Absolutely. I had just finished Martin’s Song of Fire and Ice series, and I picked up Jim Lacey’s The First Clash and Herodotus’ Cyrus the Great and Rise of Persia, which describe the fatal battle on Marathon between Greece and Persia in the 5th century BC. Marathon Bay is a 20’ drive from my home, and I’d often visited the tomb where the ancient Athenians buried their dead, so I thought at the time, “wouldn’t it be great if someone did what Martin did for medieval England, only with the story of Greece vs. Persia? And in space? How cool would that be?” Then it occurred to me: so, what’s stopping me from writing it? 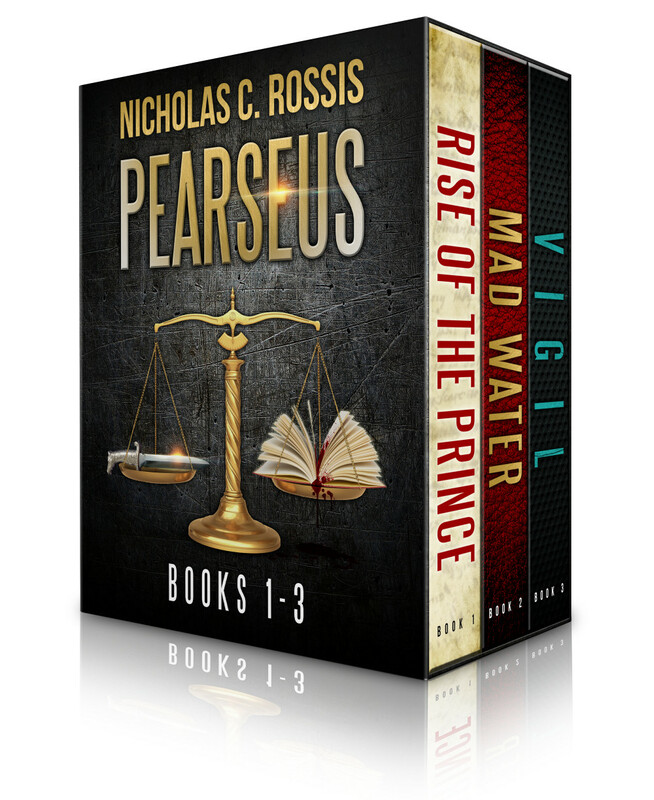 What was the hardest thing about writing your Pearseus series? I followed Herodotus’ overall story arc pretty closely, but also wanted to add my own thoughts on philosophy and politics (hey, I am Greek after all, even if I was born at the wrong century). Striking the right balance between these more introspective elements and red-hot action is not easy. The first book, Rise of the Prince, has more of the former, whereas book three, Vigil, is almost non-stop action. What is the publishing industry like in Greece? Ie number of literary agents, publishers etc. Are Greek writers forced to look farther afield for opportunities? There is the language thing, of course. So, it’s pretty hard for Greek authors to export their books, unless they happen to be bilingual (case in point). There is a small number of publishers, who usually accept manuscripts directly. This being a small country, pretty much everyone knows everyone. In fact, I’d say agents are more-or-less unknown. The credit crunch has seen the end of a lot of publishers. Most of the rest survive by limiting their production. Some ask authors to help cover production costs, in exchange for a greater profit share. Capital controls were another burden, as they were unable to import paper. In fact, there were reports of printers being unable to meet production deadlines due to paper shortages. Do you think the future of publishing is ‘streaming services’ like Oyster, Scribd and Amazon Unlimited? I think it’s part of the future. I don’t see Oyster’s shutdown as a paradigm failure; merely as a business one. Judging by music’s experience, there has been an ongoing commoditization of creativity. Most bands nowadays make their money out of live performances and swag, rather than direct sales. And you need a lot of airtime before you can make a living out of, say, Spotify. I suspect the same will happen with books to some extent. How do you split your time between fiction writing and keeping your online resources – blog, social media – updated? That’s probably the toughest part of the job—especially since I also have a day job and an expanding family (we’re expecting our first in December). I sometimes joke that I live a monk’s life, assuming monks wake up at dawn, sleep at midnight, and spend the rest of their day in front of a computer. Your blog is full of advice to writers. What’s the one piece of advice that stands out to you? I know it sounds weird, but it was in a great book by Dale Carnegie. He pointed out that he personally loved strawberry tarts, but when he went fishing, he used worms. Now, he had no great taste for worms—but fish did. In other words, don’t try to give others what you want; give them what they want. Do your sales increase as you learn more about self-publishing? Yes, but that could have to do with a number of things. Networking, mostly. A lot of amazing people are following my blog, and are willing to share what has worked for them. Not everything works for me, of course, but we do discuss book marketing a lot, and that helps everyone. Unrelated to that is the main benefit of this whole process, of course: the fun to be had when making new friends. I know it sounds terribly cliché, but to me the sense of community is one of my favorite parts of this crazy journey of self-publishing. Are there any social media channels you abandoned because they were useless? Useless, no. That I abandoned due to lack of time, yes. For example, I have an almost defunct Pearseus page on Facebook, and a Tumblr blog that I seldom visit. There is only so much time one has in any given day, and I’ve found it more important to form real relationships than to have X amount of followers. 1. You can give a little bit of your attention to several things. 2. You can devote all of your attention to one thing. How likely would you be to invite someone over to dinner simply because they lobbed wine and cheese coupons across all of your social feeds each week? On the other hand, how likely would you be to invite someone over for dinner that shared laughs and favorites with you on your wine and cheese loving pictures every day on Instagram for months? How likely do you think you would be try this second person’s wine recommendations? It’s the same with everything—including books. Can you describe your writing process from initial idea to final publication? It sounds a lot, but I’ve written books in as little as three months—although longer works take at least twice as long. Your chance to pitch your series to complete strangers: why should they buy your books? Cause my books are great fun? And I’ll bake anyone who buy them cookies in celebration? Mind you, I’ll probably have to eat the cookies myself, as Amazon won’t let us see who buys our books. Which means that my ever-expanding waistline will finally grow to the size of a small moon. Dammit, Amazon! Come to think of it, don’t buy my books. 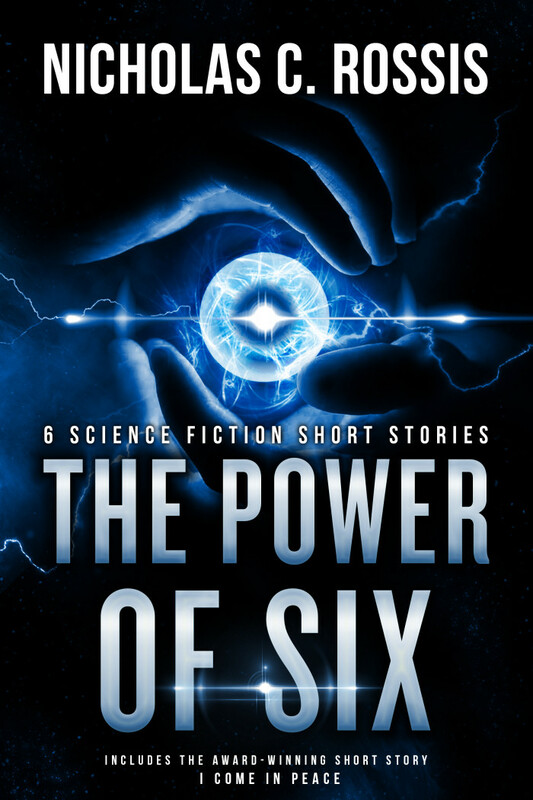 Just head over to my blog and read for free. Nicholas C. Rossis lives to write and does so from his cottage on the edge of a magical forest in Athens, Greece. When not composing epic fantasies or short sci-fi stories, he chats with fans and colleagues, writes blog posts, walks his dog, and enjoys the antics of two silly cats, one of whom claims his lap as home. 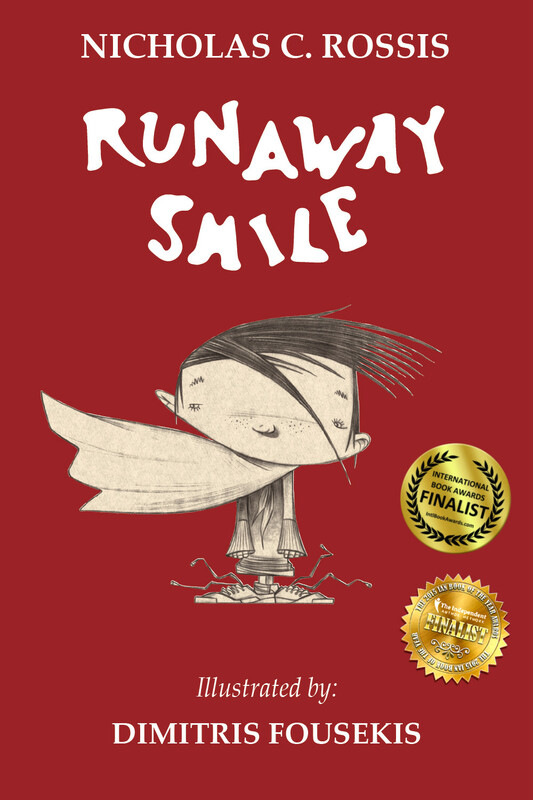 His children’s book, Runaway Smile, earned a finalist slot in the 2015 International Book Awards. Reading Nicholas’s book, Mad Water, now and enjoying his creativity. It’s a fascinating story. Wonderful interview! Blessings to you and Nicholas! Reblogged this on A Bookish Delight. A lot of interesting points raised in the answers. 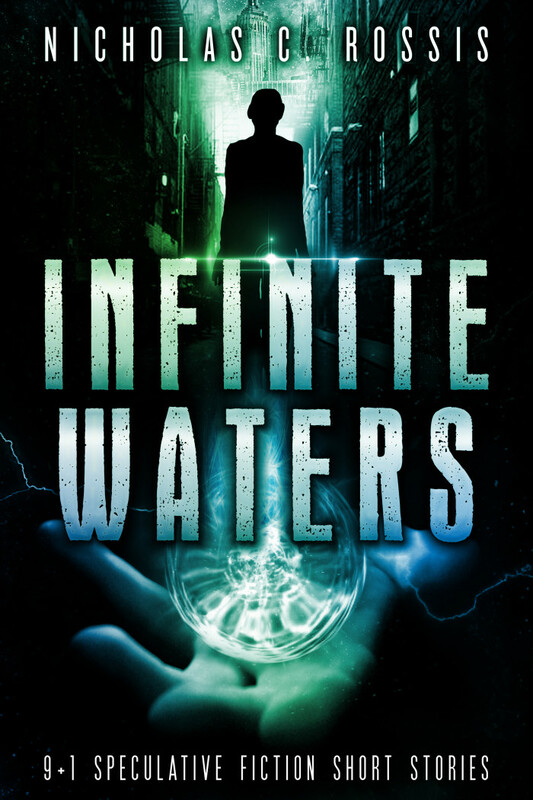 Sharing an author interview here from The Opening Sentence Blog. Read the how-to of a very thorough proof and editing process by an author from Greece. Isn’t it wonderful how we can truly learn from the world? Thanks for the reblog. I thought Nicholas’s answers were fascinating. You’ve been watching the hidden camera footage?